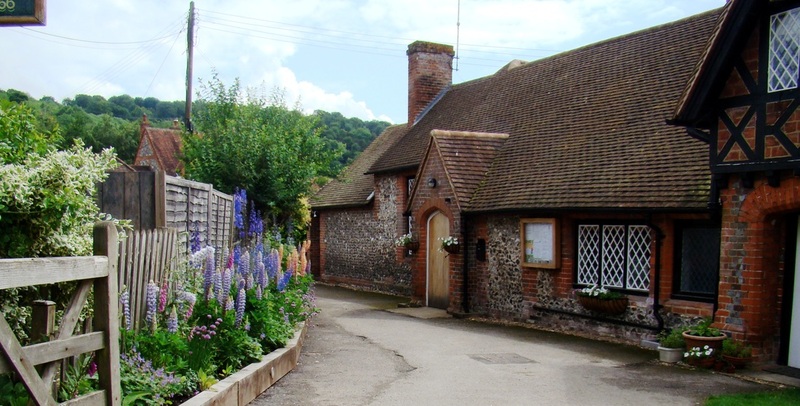 Located in the beautiful Hambleden Valley, the village hall is available to let throughout the year. It has been refurbished both internally and externally with further improvements ongoing. The hall is available to hire for community meetings, wedding receptions, business meetings, film crews, children's parties, fitness groups - just contact the caretaker for further details. There are double doors leading out on to a large patio area, ideal for sitting outside in the summer and enjoying the views. A smaller hall and kitchen area is available for the serving of food. Cars can drive up to the front door to unload and there is ample parking in the public car park. The Hall has a capacity a little in excess of 100 depending on your type of event. The new double doors at the far end of the hall lead out onto a patio with views down the beautiful Hambleden Valley. There is a separate kitchen which can be used for serving food at your function. Chairs and tables are included in the cost of the hire along with all fuel charges. Free Wi-Fi is available - the password is provided on request to the caretaker. Please see the rest of the website and our Gallery page for more images. "a delightful centre to our celebrations" - Jeanne, 2014"